How's this for a creative risk? 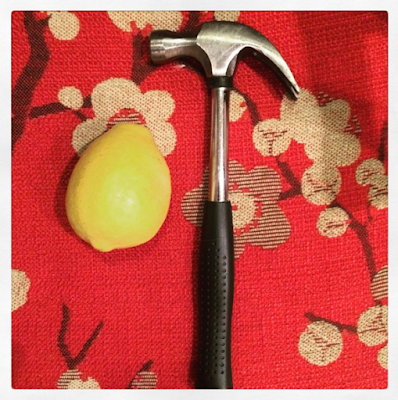 We've got lemon and hammer. If you don't respect my identity as a creative risk-taker, I've got a weapon at the ready? Seriously, my co-advisor and I submitted the first half of the yearbook pages yesterday, and now I feel as if I can slip into the light a little bit. I'm ready to email my writing partner and get back in it. Maybe I can insert a little more general cheer into my days and remain open to creative opportunities. Today's #twintuesday reminds me of Gallagher.